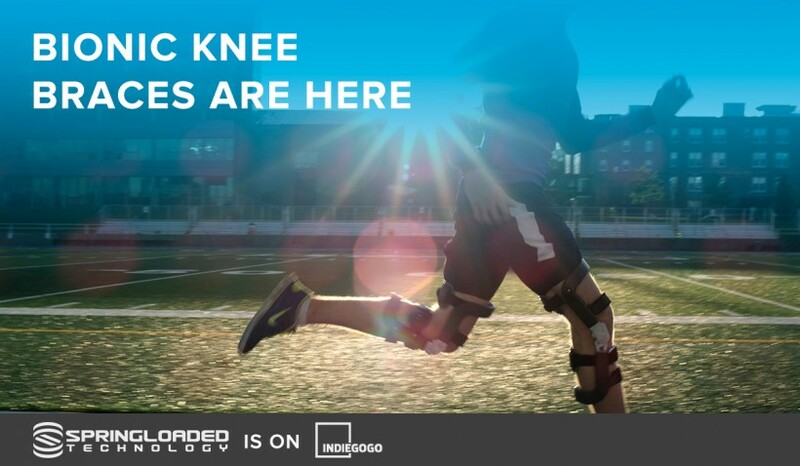 Spring Loaded Technology has announced that independent scientists have shown its Levitation knee brace significantly reduces factors that can lead to muscle fatigue. The Dartmouth company said the study was performed through the NSERC Engage Program at the University of New Brunswick by research scientists, Chris McGibbon in the Faculty of Kinesiology and Abeer Mohamed Abdelhady, PhD Candidate in the Department of Mechanical Engineering. They observed the oxygen intake, carbon dioxide production and muscle activity of three healthy individuals as they repeated a squat to stand task with and without the assistance of the knee brace. The Levitation knee brace, which uses a liquid spring technology to store energy as the leg is bent and return it as the leg is straightened, required less exertion during movements like standing from a squat or crouched position. Data from the study revealed that participants used 25 percent less oxygen during the task cycle when compared to their consumption without the brace’s assistance. The researchers also found a drastic 40 percent reduction in carbon dioxide production. The knee brace is now available for pre-order. The Trade Commissioner Service at the Consulate General of Canada in Boston is looking for candidates for the Canadian Technology Accelerator in Boston for the winter-spring 2017 cohort. Known as CTA@Boston, the program is open to open to a range of companies, including IT, cleantech and biotech startups. The Canadian Technology Accelerator in Boston is an award-winning four-month immersion program that connects Canadian companies to U.S. clients, strategic partners, and investors. It is managed and operated by the Consulate General of Canada in Boston's Trade Commissioner Service team in close partnership with Canadian Entrepreneurs in New England. The application deadline is Oct. 13. You can apply here. Mashup Lab, the organization dedicated to developing startups in rural areas, will host Mashup Weekend: Pictou County on Oct. 14 and 15 at the NSCC Pictou Campus in Stellarton. Mashup Weekend works in a similar way to startup weekends: participants present their business ideas, and then form teams around what they consider to be the best ideas. The teams spend the weekend developing their plans, then present them to a panel of judges at the end. Mashup Lab and Pulse Pictou County have joined forces to make Mashup Weekend happen in Pictou County. Registration is available here and only costs $45, which covers all meals and snacks.